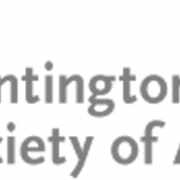 The Huntington Disease Society of America is seeking passionate leaders in the community to join, lead and support Board of Directors in the Mid-Atlantic Region in Pennsylvania, Delaware, Maryland, Washington DC, Virginia & West Virginia. HDSA is the premier nonprofit organization dedicated to improving the lives of everyone affected by Huntington's disease. HD is a fatal genetic disorder that causes the progressive breakdown of nerve cells in the brain. It deteriorates a person's physical and mental abilities during their prime working years and has no cure. Every child of a parent with HD has a 50/50 chance of carrying the faulty gene. Many describe the symptons of HD as having ALS, Parkinsons and Alzheimer's simultaneously. Time is flexible, approximately 10 to 20 hours per month. A 2-year term is desired. The ability to participate in meetings, strategic planning and fundraising as well as a desire to help families in the community.